The WorldView-2 satellite under operation by DigitalGlobe was involved in a “debris-causing” event on Tuesday liberating at least eight pieces of unknown size, the Joint Space Operations Center reported. DigitalGlobe said the satellite remained operational after the event. WorldView-2, with a launch mass of 2,800 Kilograms, was lifted into orbit in October 2008 by a Delta II rocket blasting off from Vandenberg Air Force Base. 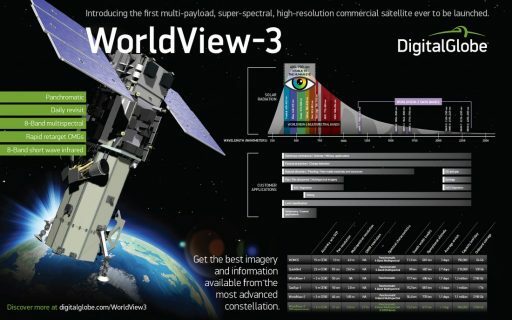 Becoming DigitalGlobe’s third satellite in orbit, WorldView-2 was expected to operate for at least seven and a quarter years. 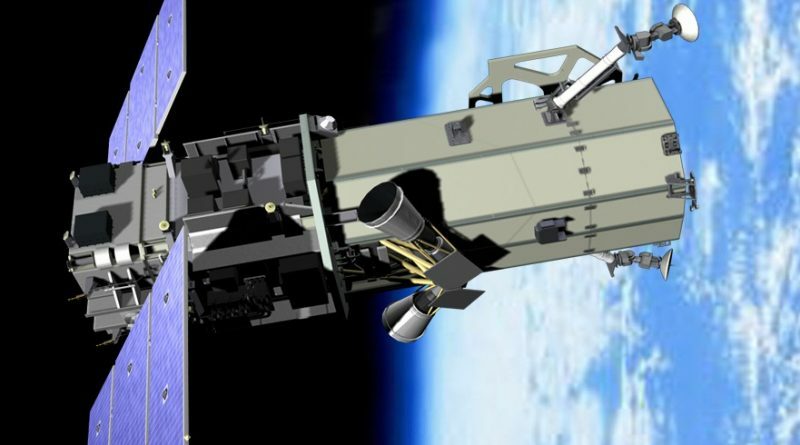 Built by Ball Aerospace, the satellite is outfitted with a WV110 instrument capable of delivering panchromatic imagery at a ground resolution of 0.4 meters and providing multispectral imagery at a resolution of 1.8 meters, covering eight wavelength bands – six in the visible range and two near-infrared bands. An agile attitude control system allows the satellite to complete rapid slew maneuvers, permitting extensive imaging of many targets including single-pass stereo captures with a total imaging capacity in excess of one million square Kilometers per day. The Joint Space Operations Center issued a notification on Tuesday, reporting that WorldView-2 was involved in a debris-causing event with at least eight associated pieces being tracked. No orbital data was available for the debris, however, JSpOC is including preliminary orbit information in conjunction screenings for operational satellites. 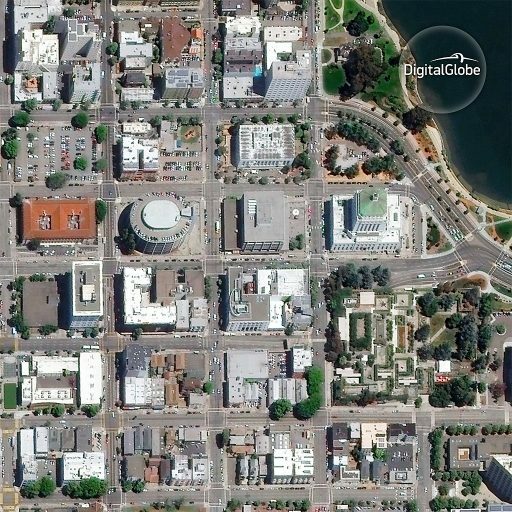 A few hours later, DigitalGlobe shared a satellite image of Oakland, California, taken by WorldView-2 at 21:34 UTC on Tuesday, after the debris event had taken place – reaffirming that the operation of the spacecraft has not been impacted. DigitalGlobe has begun an investigation into what happened to the satellite. The fact that the spacecraft is operating nominally suggests that no critical systems were involved in the event. A possible source of the debris could be external insulation material such as portions of a blanket being liberated from the satellite. WorldView-2 is currently being tracked in a 765 by 767-Kilometer orbit inclined 98.54 degrees and no obvious orbital change was seen associated with the debris event, suggesting whatever happened to the spacecraft was of a low-energy nature. WorldView-2 collects imagery offered on the commercial market and for the U.S. government’s National Geospatial-Intelligence Agency which is tasked with the collection, analysis and distribution of satellite imagery for the military and intelligence agencies. Currently in operation by DigitalGlobe are three WorldView satellites, the first launching in 2007 and now having surpassed its expected service life. 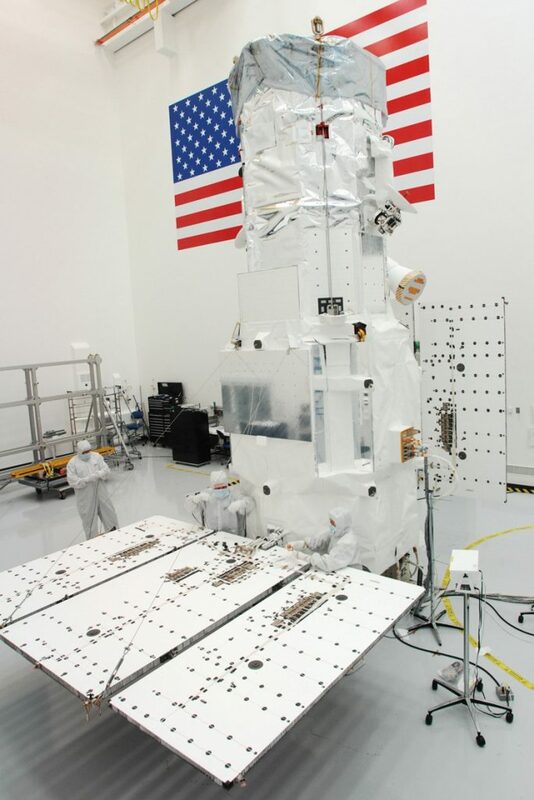 WorldView-1 completed an 18-month transition in June, maneuvering from a morning to an afternoon orbit to enhance DigitalGlobe’s capability of providing intra-day imaging for the detection of changes that occur on the planet within a single day. WorldView-3, launched in August 2014, operates in a morning orbit. Also in operation by DigitalGlobe is GeoEye-1 after the company merged with commercial satellite imagery vendor GeoEye Inc.
Set for liftoff in September is the company’s next satellite, utilizing a United Launch Alliance Atlas V rocket. 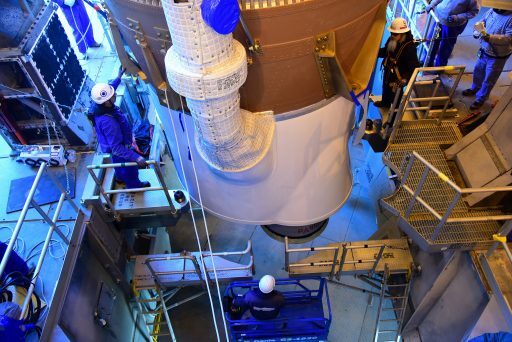 The spacecraft spent four years in storage, being built as GeoEye-2 with a planned liftoff in late 2012, but ended up being delayed due to the merger of GeoEye and DigitalGlobe. Re-named WorldView-4, the satellite offers image resolutions similar to WorldView-3, reaching a ground resolution of 31 centimeters in the panchromatic band and 1.24 meters for multispectral data. WV-4 is being launched to meet rising product demands for the highest resolution imagery available on the commercial market.